As details continue to flood in regarding the just-announced Star Wars: Episode VII, EW managed to catch up with Luke Skywalker himself, Mark Hamill, who reveals that he was made aware of plans for a third trilogy last August. 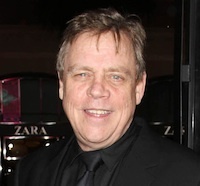 Although Hamill learned of the plans for more films, he was as surprised as anyone at the announcement of Lucasfilm being bought by Disney when he read about it online yesterday. He also doesn’t know what involvement – if any – he’ll have in future Star Wars films, but he remains optimistic as a fan. Hamill reiterates that Kathleen Kennedy will be handling a lot of the work on the new films, leaving Lucas to his newfound retirement and plans for a charitable educational foundation funded by the multi-billion dollar sale.